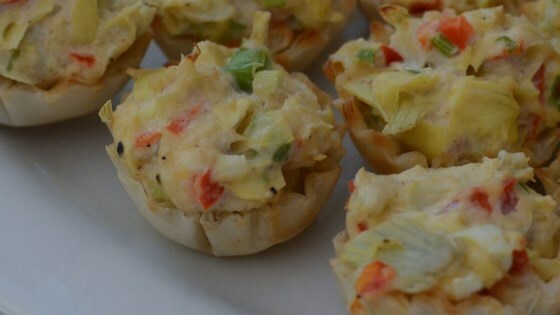 "This is a quickly prepared, savory appetizer or hors d'oeuvre." I made my own Gluten-free tart shells. Used spinach and artichoke with the other ingredients. Amazing! They were a Mother's Day success!! !